Project objective is to enable Ukrainian agricultural and food companies in terms of their capacities to identify European export markets, enter them, consolidate and grow in them and to prepare to open their own markets. 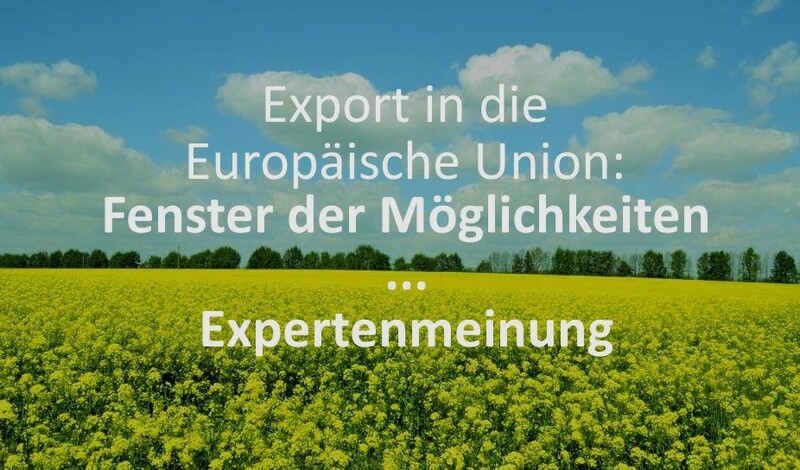 Furthermore, the project aims at informing German companies on agricultural trade issues with Ukraine. The project implementation is based on a participatory approach. In the decision-making processes the initial aim is to create conceptual drafts and ideas which are developed in detail by the various levels involved in the decision-making process. This will enable the national project partners to identify more closely with the project. The proposals resulting from this process will be discussed at a political level. The project cooperates with numerous Ukrainian and German associations and institutions which support the dissemination of information on opportunities on the Ukrainian market. To make use of synergetic effects the project closely cooperates with other on-going projects in Ukraine, especially the ones funded by BMEL, in order to make use of synergistic effects.